Take your pick from these stylish and comfortable beds which are tailored for complete relaxation. 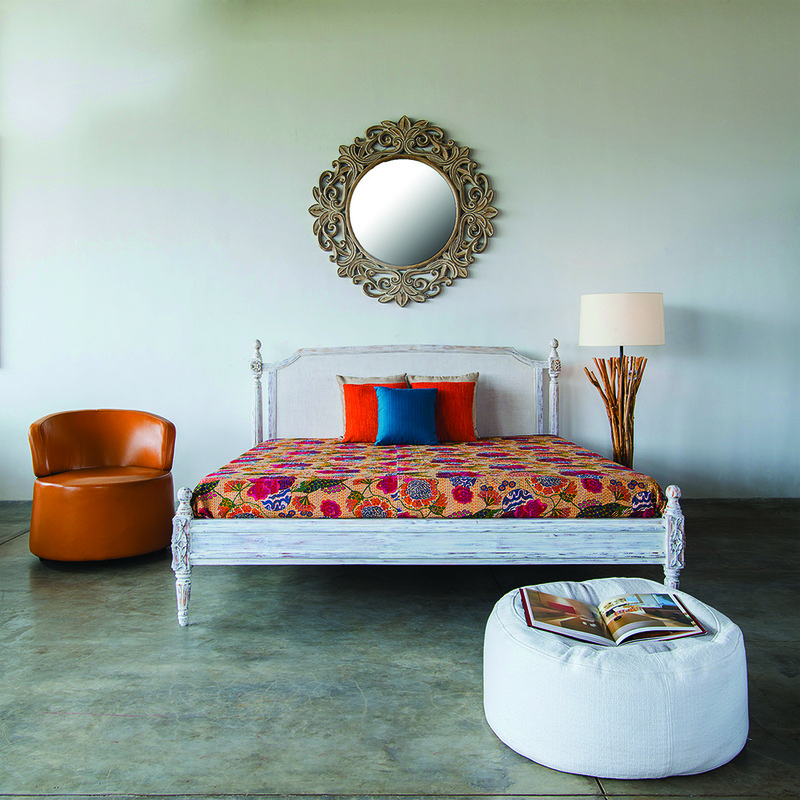 The Everest bed from the Spring collection is a modern version of the winged bed. It comes with a soft padded headboard, durable Turkish Bursa suede upholstery, a fabric footrest and wooded side tables. 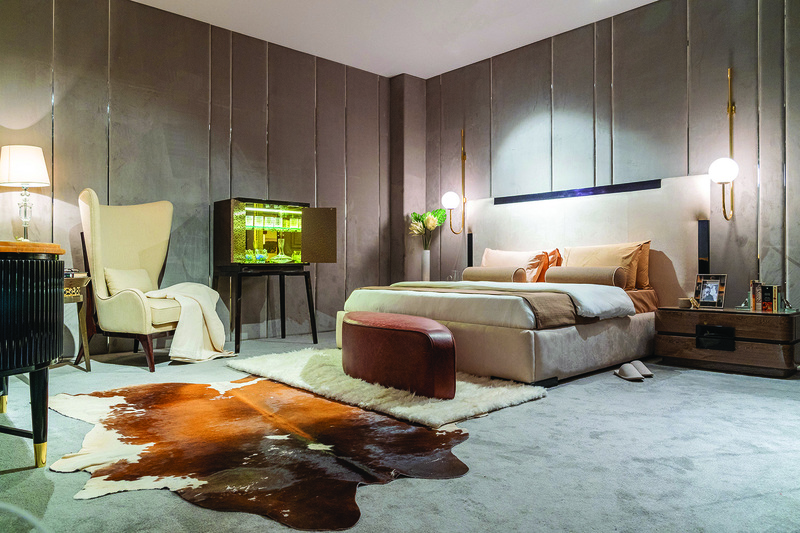 Fully upholstered in fine faux leather, the Pixel bed is equipped with hydraulic storage. 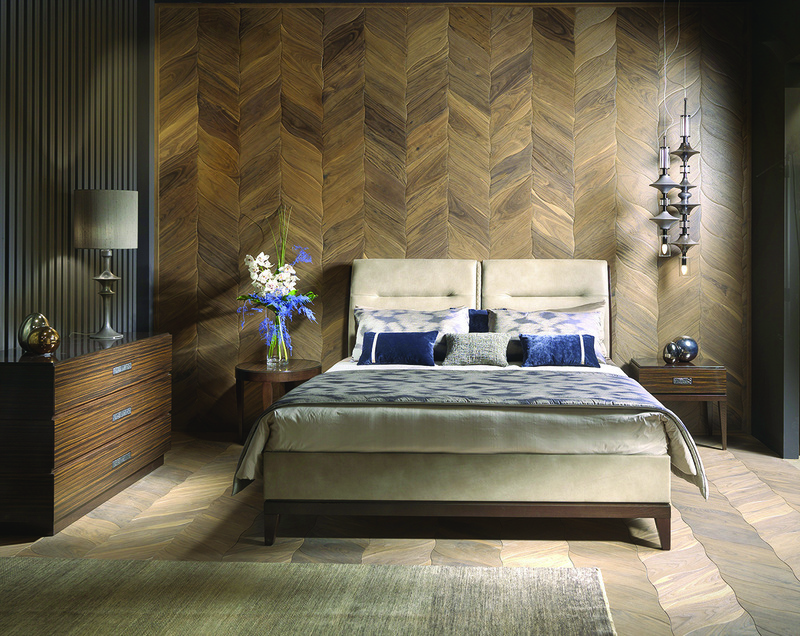 The Woody bed and back panel, from the collection of the same name, are inspired by the form of wooden cubes. Cross grain patterns give them a distinctive look. 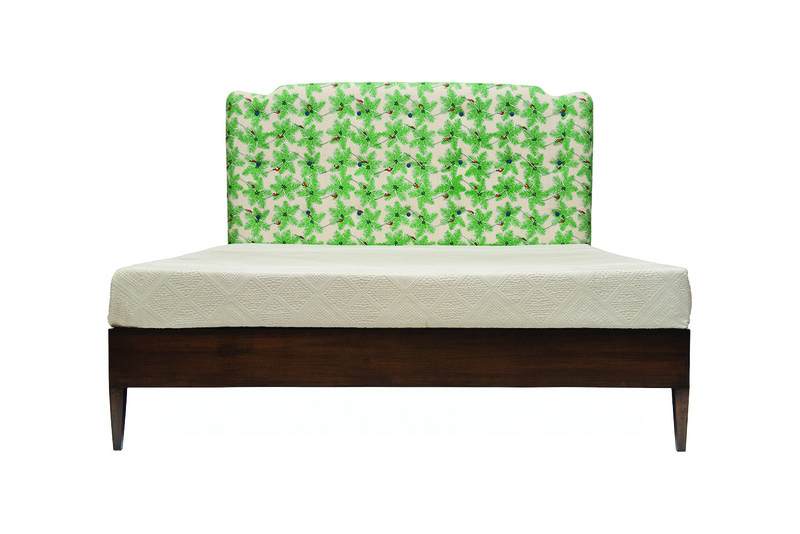 The Angular Flower Queen bed blends modern patterns with a classic finish. It is made of solid wood and embellished with geometrical patterns, with a headboard that has been created with a CNC machine. 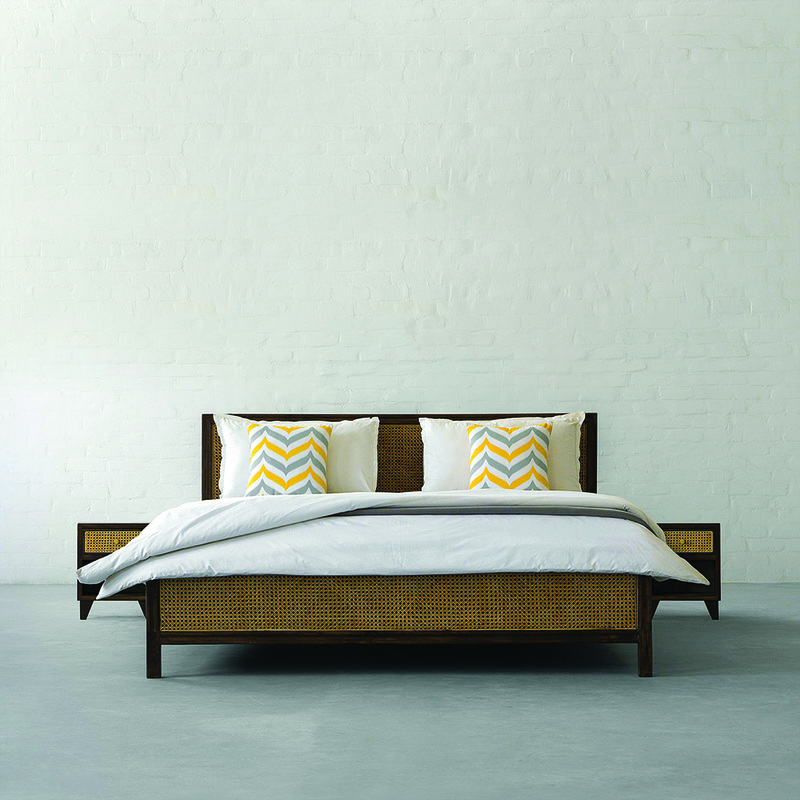 The king-size Hangar bed from the Sleep collection comes with a curved headrest in mustard nubuck upholstery. Cochin rattan bed is a classic versatile style with a clean silhouette adorned with cane rattan work on the solid hardwood head and foot-board to add that old world charm to your bedroom. The Zoe is a picturesque amalgamation of cool greens, bubbles of blue and just the right hints of orange. 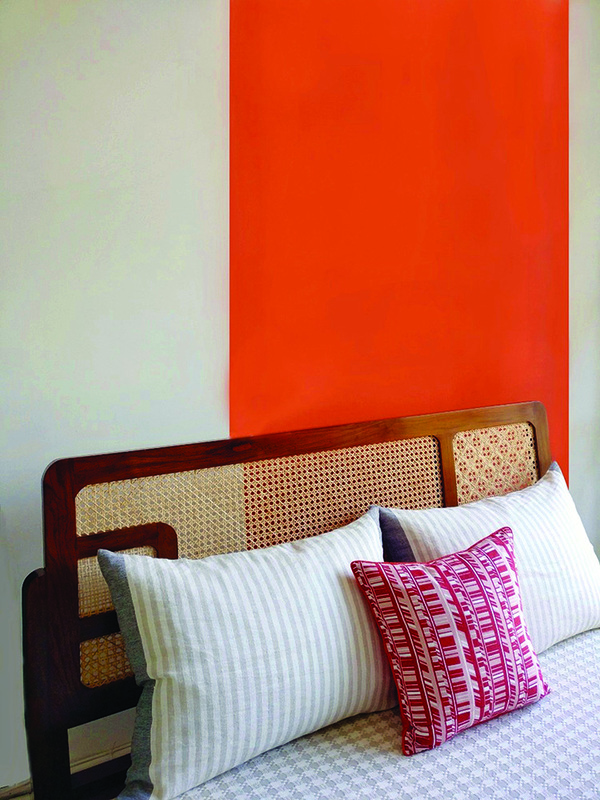 The shape of the headboard is inspired by classical French caned beds. 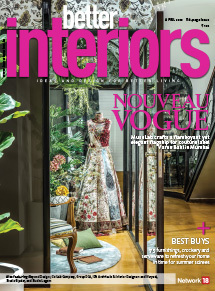 Majal features sumptuous fabrics which are highlighted in the geometric shapes of the headboard that resembles a modern boiserie. 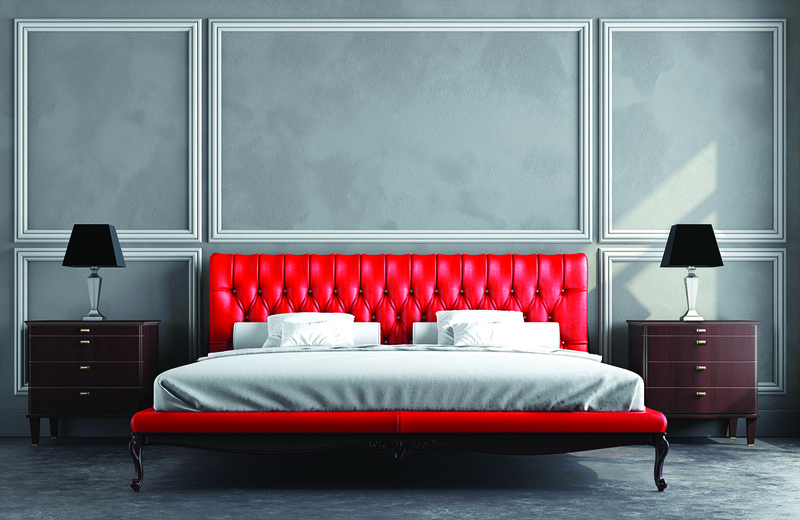 The headboard is available in two versions: aligned with the edge of the bed, or extended from the sides of the bed. 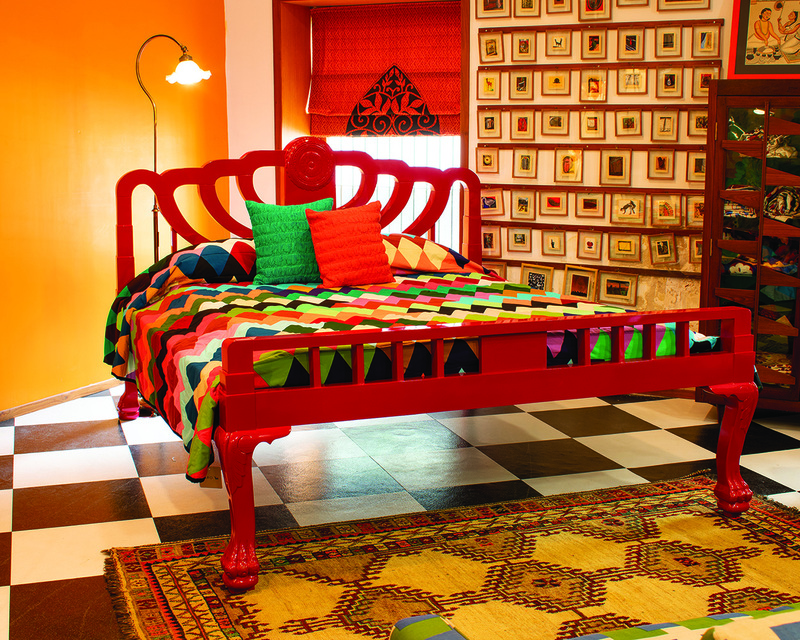 This glamorous bed designed by Meenu Agarwal is carved from teak wood and upholstered in red leather. It comes with two side tables covered in brown leather that provide a welcoming contrast. With its upholstered looks and warm cushioned support, Estella Fabric King Bed in grey redefines home coming, bonding and curling up, when you need it the most. The four-poster Kane and Able bed is made with solid teak combined with cane work and finished with French white polish. Segreti is designed in the style of elegant classics and is made of quality materials, and decorated with stitches-capitone. 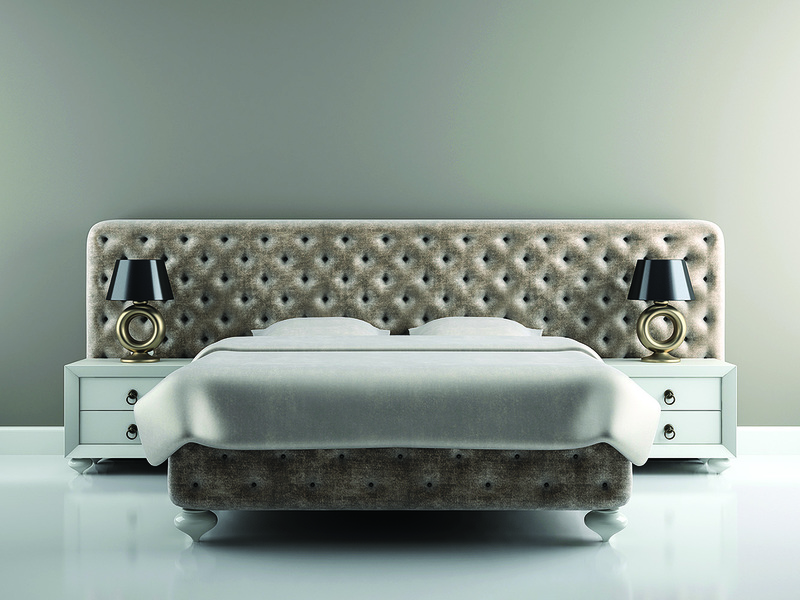 The regal-looking Destina bed features Turkish craftsmanship, a curved design and a premium Arctic white pearl duco finish. It comes with matching side tables. 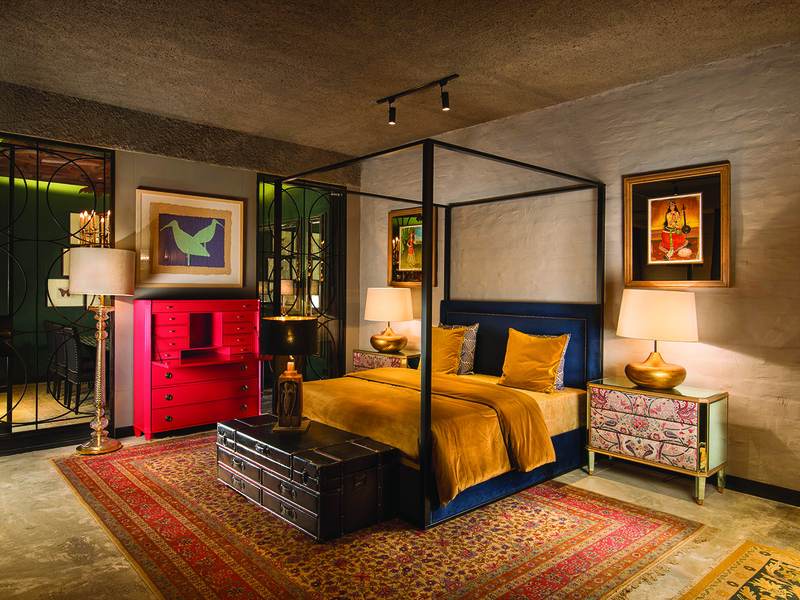 The design of the Deco bed combines early Art Deco style with traditional Indian and late colonial elements. It is made of reclaimed teak and finished in duco paint. 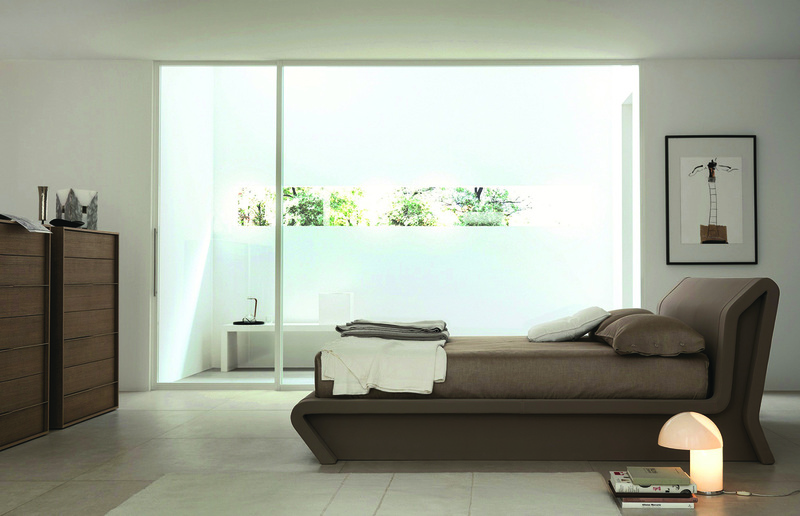 The Wika bed echoes a style popular in the ’60s. It is made with a teak wood frame complemented by natural, handcrafted woven wicker sections. The lavish Four Poster bed with a blue velvet fabric comes with side tables which has been upholstered with a printed fabric. 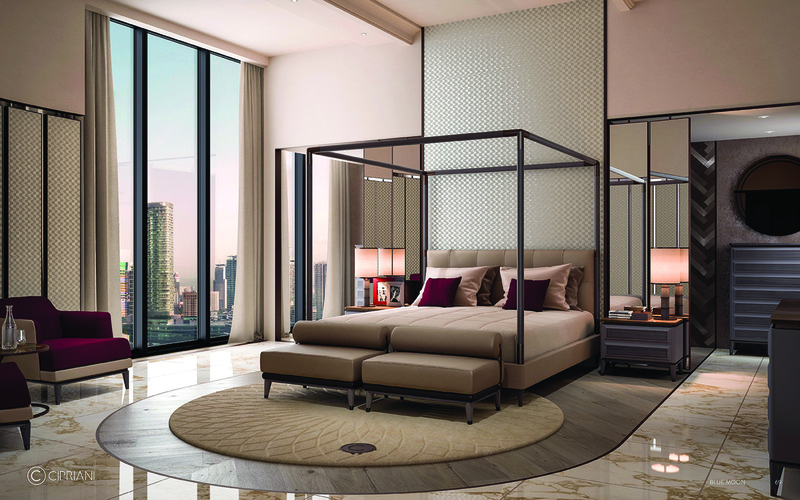 The Queen bed comes with elements of stainless steel and water-resistant fabric upholstery. Gas pistons make the frame easy to lift and provide hassle-free access to storage. 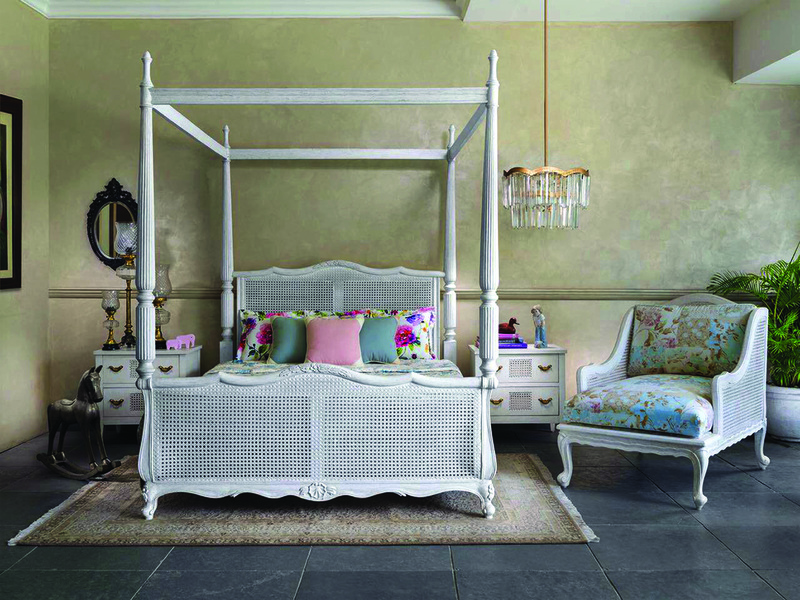 The Belle bed is French-inspired and made of distressed wood with a wicker headboard in a white distress finish. 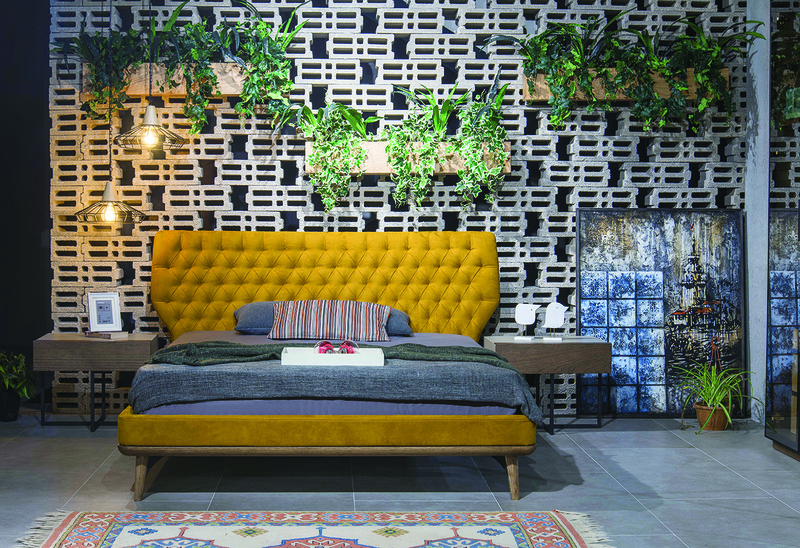 Part of the Hunkar series, this bed is made with a wooden base and upholstered in Turkish suede, and comes with matching side tables which has ample storage. 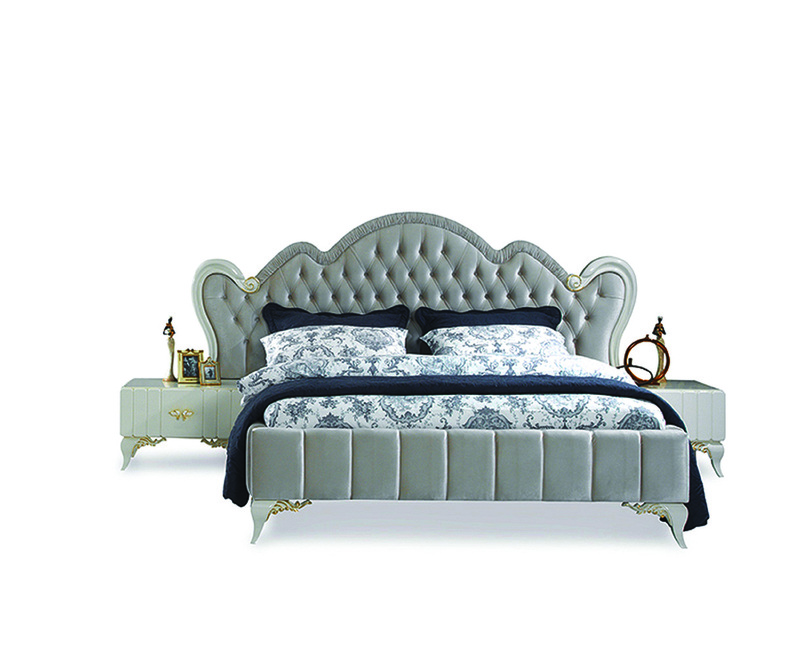 The Sebastian bed is a mix of contemporary and classic design. 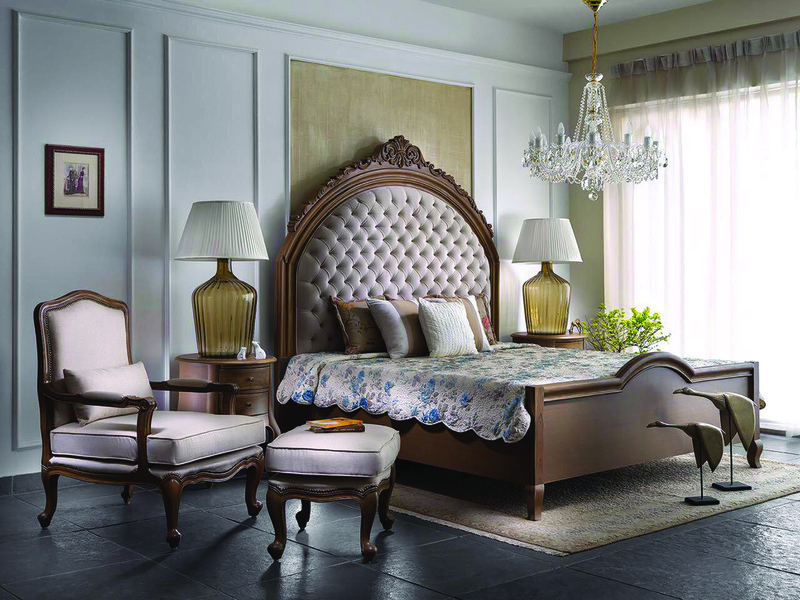 It comes with a high-back headboard in white and is complemented by a chic side-table and an elegant leaf-shaped ottoman upholstered in leather. An elegant four-poster bed designed in the Art Nouveau style. It is made of Burma teak wood with melamine polishing. The curvy design of the Peacock bed gives it a soft appeal. 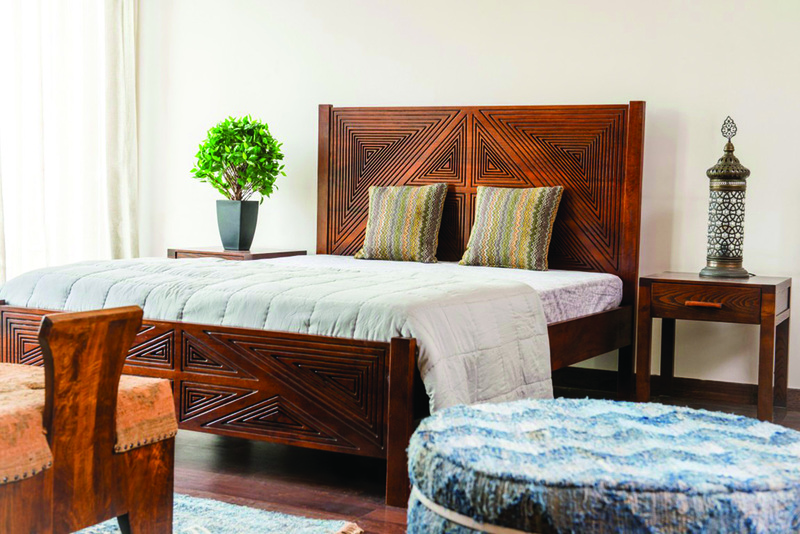 It is made of teak wood with crisp patterns and detailing and has a bedside table, chair and footstool for company. 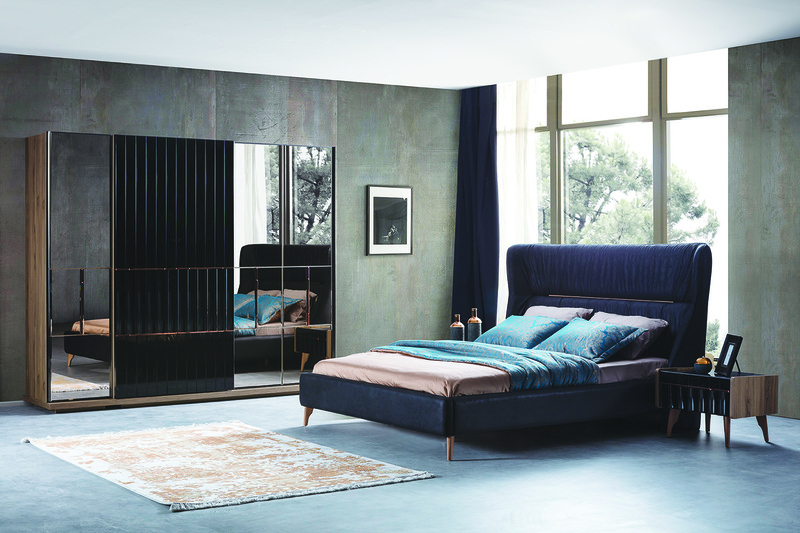 The Canopy bed from the Blue Moon collection by Cipriani Homood focuses on the richness of leather and fabric. The highlight of this bed is its velvet like leather finish. The structure is made of metal and wood. 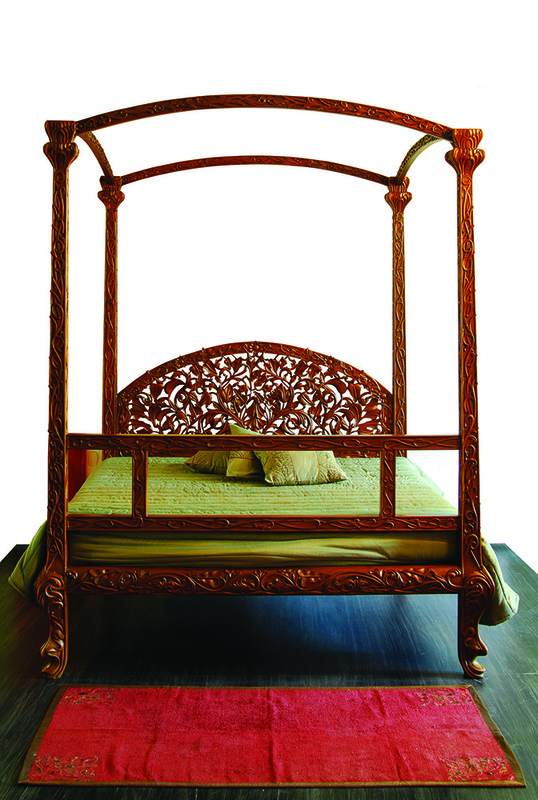 This teak wood bed designed by Meenu Agarwal has quilted leather upholstery in beige. The turned legs of the bed and teak wood side table hark back to a traditional style while the glossy white finish adds a modern touch.